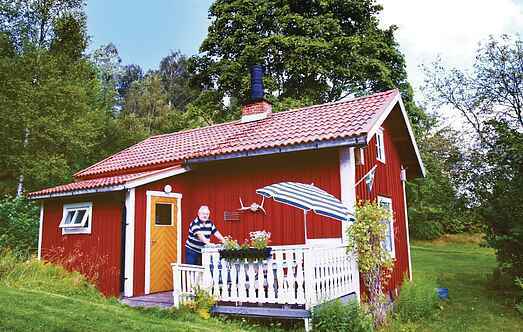 Find a vacation home to rent in Storfors Municipality from our list of vacation rental properties. Campaya has over 4 vacation homes available in Storfors Municipality, which give you the possibility to locate a unique accommodation in Storfors Municipality which completes your check-list in search for the perfect self catering vacation apartments in Storfors Municipality or vacation villas in Storfors Municipality. Small and simply furnished holiday home, situated in an area with a rich wildlife. Near a lake. Non-smoking house. Kristinehamn 25 km. This spacious cottage is situated just 100 metres away from the lake Alkvettern. The lake has a sandy beach with a jetty. You can go fishing in the lake Möckeln nearby. Nice holiday home on the edge, where you will also find lots of berries and mushrooms. Even the king of the forest, the moose, you will discover here.